How good are you at shooting paper balls into the trashcan? This is a skill that takes a bit of practice to master. Anyone who has something to toss out that isn’t going to spill liquid will often try to sink a shot. No doubt, somewhere an office there are a bunch of workers making bets to see who can get the most paper balls into the trashcan from the furthest distance. That’s fun to do a trash but you can’t do it with everything you throwing out. Think about an old lawnmower. This is not something you can pick up and toss anywhere. Instead, when you want to get rid of something like that the best approach is to bring in the pros from Junk King Albany. 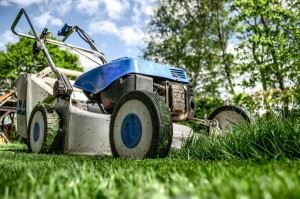 They can be many reasons why you want to get rid of an old lawnmower. It could be that you’re making the switch from gas to electric. Perhaps are finding that the blades are no longer cutting like they once did. Either way, you simply can’t cram a lawnmower into a trashcan. Junk King Albany provides all the tools you need to get rid of that piece of equipment. Those tools will come in the form of a pair of workers and a big truck. It will just take a few seconds to load your old lawnmower onto the back of the Junk King truck. But why stop there? What else do you have to throw out from your backyard or house? The team from Junk King is going to do all the heavy lifting for you. They can remove a pile of bricks or lumber just as easily as they can carry out a futon. All you have to do is decide what you want gone before they show up. Once they arrive you will give them a quick tour of all the things you want taken away. Those items can literally be scattered throughout your property. The Junk King crew is going to pick them all up from right on the spot. Just think of what a junk removal session from junk King can do to transform your home? Getting rid of an old lawnmower the rest of your unwanted rubbish is a task that was tailor-made for Junk King Albany. This entry was posted in Albany Junk Removal and tagged Junk King, junk removal, Lawnmower on September 30, 2017 by Junk King. Last updated October 1, 2017 . It’s clear that junk King is making a lot of homeowners happy. These reviews point out the basic operating philosophy of Junk King: they do all the work. It doesn’t matter how heavy something might be or what a challenge of it could become to get it out of the house. The only thing the crews are focused on is making sure all your unwanted junk is gone for good. Most of Junk King Albany’s business comes from recommendations from previous clients. They wouldn’t want to have it any other way. 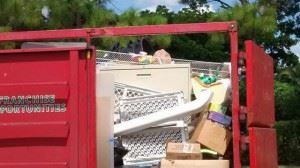 If you’re ready to add your rave review to the Junk King Albany website, then book your junk removal session today. This entry was posted in Albany Junk Removal and tagged junk, junk removal, reviews on September 25, 2017 by Junk King. Last updated September 25, 2017 .